Inspired by the peace of the rolling hills and the iridescent landscape, it was here in the quaint Hisa Franko House Hotel that Ernest Hemingway wrote his first bestselling novel, A farewell to Arms, while recovering from an injury obtained in the war. 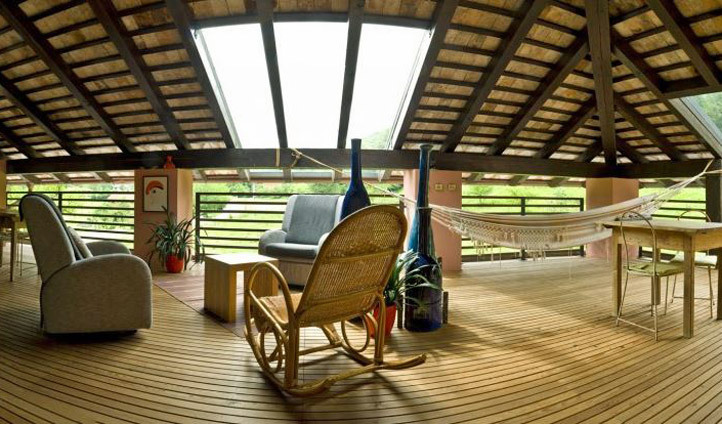 It’s easy to see why Hisa Franko is a writers paradise; with stunning views and a picturesque creek right here on your doorstep. 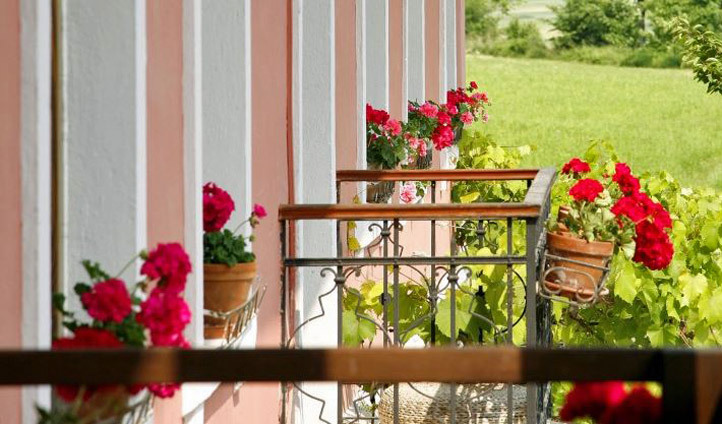 Equipped with a herb, vegetable and flower garden, this strikingly pink estate boasts a handful of comfortably rustic rooms, all of which provide a perfect refuge after a long day of exploring Slovenia’s backcountry. It’s hard to beat the beauty and calm of the Soča valley. A peaceful paradise of richly dense forests, luscious green vast pastures and natural turquoise water pools, Hisa Franko is at the heart of one of Slovenia’s most sought-after destinations. Bordering Italy, the valley is only a couple of hours from Slovenia’s Ljubljana airport, making Hisa Franko the perfect hideaway for a unique trip to central Europe. Choose from eight of Hisa Franko’s traditionally cozy rooms, all of which boast elegant and spacious bathrooms, equipped with tempting deep bathtubs, perfect for sinking into. A personal favorite is Soba zelenega čaja, which comes with a private terrace from which you can enjoy some of Slovenia’s most incredible views. What’s more, Hisa Franko is happy to accommodate pets, meaning that all your furry friends can come along for the journey. Have we not mentioned the restaurant yet? It’s only one of Slovenia’s top rated. Headed up by the 2017 World’s Best Female Chef, Ana Ros, you know you’re in for an amazing meal. Featuring a seasonal menu inspired by traditional Alpine landscapes, but influenced by modern trends, every course is sheer delight. It’s undoubtedly Slovenia’s hottest reservation – but don’t worry, we’ve got your back.